Santa Monica Motors specializes in auto repair and service on all Scion vehicles. To review the most common repair services we perform on Scion vehicles, click here to see our list of services. In addition to these main Scion services, Santa Monica Motors has the ability to perform any and all auto repairs and services on your vehicle that the Scion dealership would, using the same quality, factory-made parts & tools. 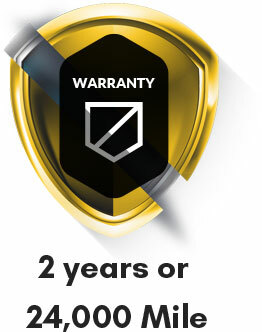 Santa Monica Motors also provides a 2 year, 24,000 mile warranty on any service or repair we do for your vehicle. Scion is a marque of Toyota that began in 2003. Designed as an extension of Toyota's efforts to appeal towards younger customers, the Scion brand primarily features compact sports vehicles. The Scion name, which translates to the descendant of a family or heir, refers to the brand's cars as well as their owners. On February 3, 2016, Toyota announced that it would discontinue the Scion brand in August 2016, with selected models to be re-branded as Toyota vehicles for the 2017 model year. Santa Monica Motors has been a family-owned and operated auto repair facility since 1975. Our expertly-trained auto technicians are well equipped and eager to help you with all of your Scion vehicle’s repair and service needs. Please contact us with any questions regarding a specific repair or concern. We look forward to helping you with all your car repair needs!